In order to keep your Field Calibration Unit System in spec. and in compliance with your quality assurance program, best practices dictate annual recertification of your FCS sensor. 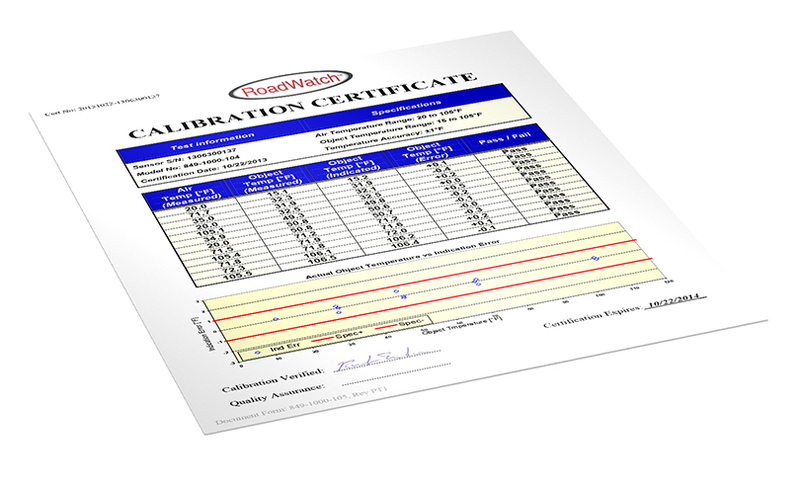 Send your FCS STD sensor to RoadWatch for recertification and we will return to you with a certificate of compliance.